I Just Need More Glue, Paint, Pens and some Fun Paper . . . : Fireworks and Lightning! 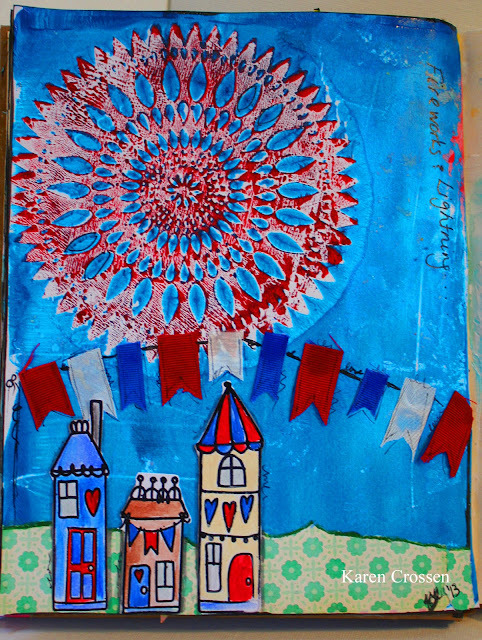 I love using The Greeting Farm stamps in my art journal, especially, their Dreamy kit stamps!! So here is my Farm Fresh Friday Red, White and Blue Ribbon Challenge Page and for the Garden Variety Anything Goes Challenge too!! I started with my Gelli Plate. 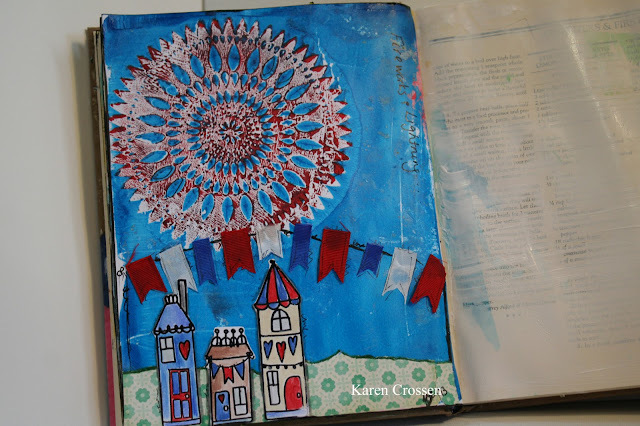 I used a Crafter's Workshop Stencil on the plate to make my 'firework!' Then I embossed and colored the 'Dreamy' kit houses on a separate piece of paper, cut them out and glued them onto the background! I cut out my red, white and blue ribbon to make the banner!! (The banner kinda of slid down into the middle of the book, whoops!) It was so much FUN! I hope you enjoy it! As we set off our little fireworks in the driveway, we could see the fireworks from larger displays set in the backdrop of some pretty dramatic lightning. It was amazing!! 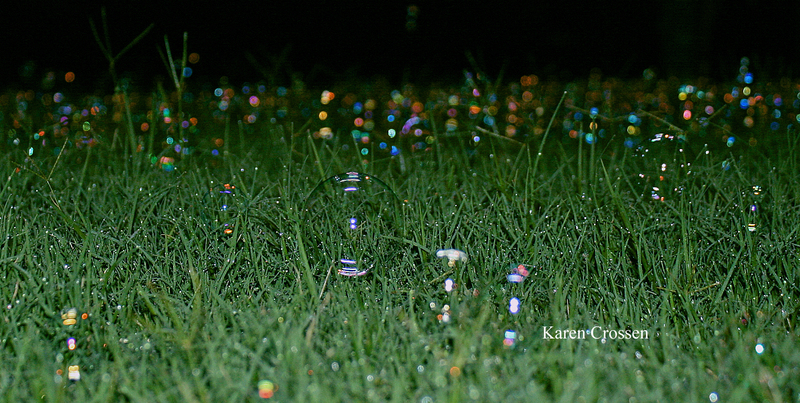 The kids started blowing bubbles outside while we were out watching fireworks. 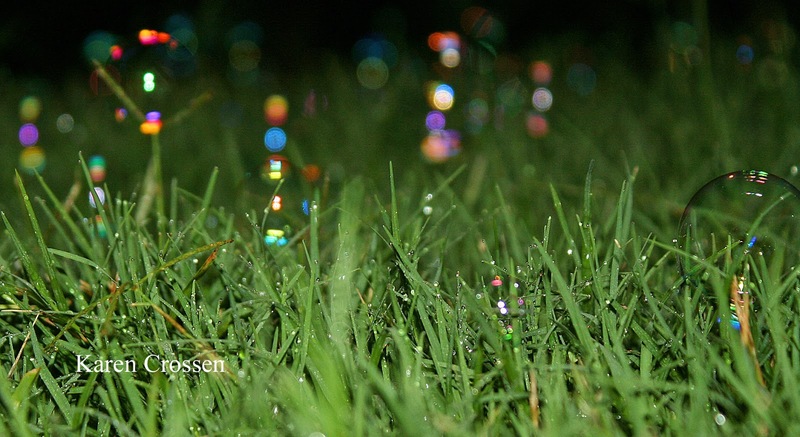 The grass was still so wet that the bubbles would land on the grass and not pop!! They almost had half the yard covered, it was a fantastic sight!! 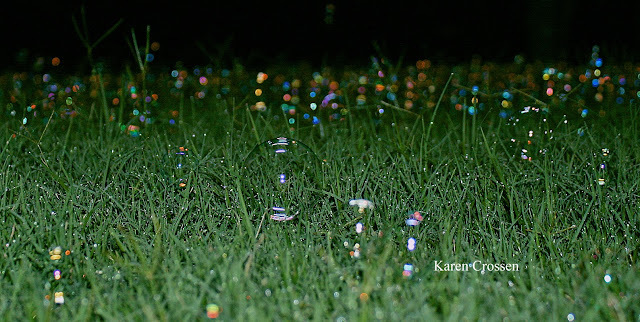 Here are a couple of pics of bubbles that I took ... they really do not do justice to the beauty of the bubbles on the lawn!! oh yay! i love love love the bubble photos, the title and of course the page is awesome! rockin' it as always girl!